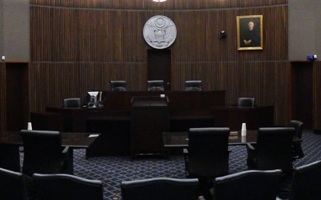 Located in Philadelphia, PA, the Third Circuit Court of Appeals hears federal cases that arise from the federal district courts of Delaware, New Jersey, the Eastern District of Pennsylvania, the Middle District of Pennsylvania, the Western District of Pennsylvania and Virgin Islands. 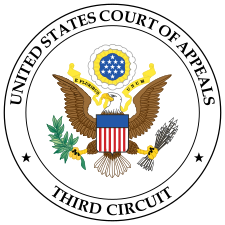 The Third Circuit has strict standards for the printing and filing of appellate briefs, and these standards differ from those of the other federal circuits. The starting point for a filling is, as always, the federal rules of Appellate Procedure. From there, the rules are modified by the local rules of the Third Circuit. Four copies of each appendix volume must be submitted with one service copy to each party. Volume one of the appendix must consist only of (1) a copy of the notice of appeal, (2) the order or judgment from which the appeal is taken, and any other order or orders of the trial court which pertain to the issues raised on appeal (3) the relevant opinions of the district court or bankruptcy court, or the opinion or report and recommendation of the magistrate judge, or the decision of the administrative agency, if any and (4) any order granting a certificate of appealability. All other volumes of the appendix must be separately bound and indicate the sequential page numbering of the contents on the cover. Each party shall include a certification in the initial brief filed by that party with the court that at least one of the attorneys whose names appear on the brief is a member of the bar of this court, or has filed an application for admission. See 3rd Cir. LAR 46.1. The signature blocks should include the state Bar number, address, and phone number. The Third Circuit discourages excessive footnoting.